I spent the afternoon on Tuesday in the House of Commons meeting MPs, Peers and their invited guests in a session designed to showcase the work of a number of research council projects. 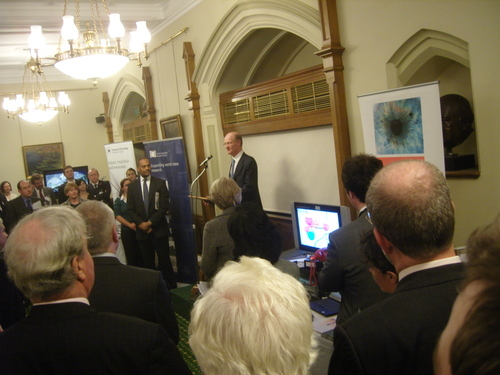 The Minister of State for Universities and Science David Willets highlighted our project – VoiceYourView in his speech as “one of the most innovative projects” he was briefed on. You can just about see the demostration of VoiceYourView I set up to the Minister’s left in the image below.